The local weather has been up and down of late, to put it mildly. We’ve gone from snowstorms to summer-like conditions and back to freezing, sometimes seemingly in the course of a day. That means spring has returned to the Midwest, and with it comes an increased focus on the quality of your indoor air. That means things like increased humidity, increased dust and pollen in the air, and proliferation of germs and bacteria. That means something more than just an air conditioner to protect your home. Indoor air quality products installed in your HVAC system can solve those problems while your AC takes care of the strict temperature control. Now is the perfect time to do so, giving you the benefit of these products from the very beginning of warm weather. High humidity levels are among the biggest summer problems in our neck of the woods. When there’s too much ambient moisture in the air, our sweat won’t evaporate off of our skins: which is how our body naturally cools off. We’re left feeling clammy and gross, and the air conditioner needs to work harder than ever to make up the difference. A whole-house dehumidifier can take the strain off of your air conditioner – lowering the chances of a breakdown and cutting down on monthly costs – as well as allowing you to set the humidity levels in your home to match your particular tastes. If germs and biological contaminants are a big concern, consider the installation of a UV air purifier at the apex of your ducts. These products shin an ultraviolet light across the width of the ducts, forcing the air to pass through it as your air conditioner runs. (And your heating system in the winter.) UV lights are harmless to us – indeed, they make our white clothes glow in the dark at rock concerts and on amusement park rides), but will either kill single-celled biological organisms, or fuse their DNA. 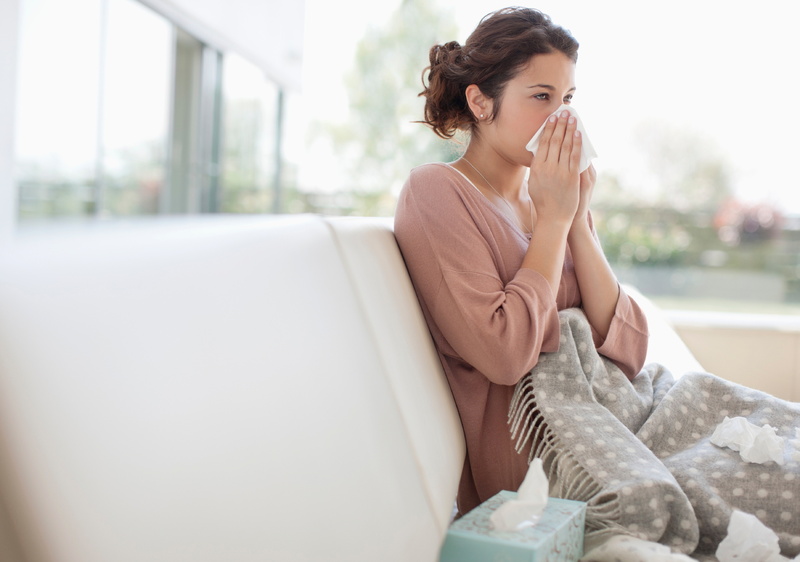 As the air conditioner runs, it will gradually cleans the air in your home free of germs and bacteria, resulting in fresher air and a drop in incident of illness in your home. They’re easy to use and provided you replace the light bulbs when they wear out, you won’t need to conduct many repairs or maintenance sessions with them. Every air conditioner comes with a filter to help screen out dust and other contaminants. You should change those filters on a regular basis, especially now after the unit has sat unused for many months. (Replacement filters can be purchased at any hardware store or home improvement center.) Another option is to install and electronic air cleaning, which ionizes particles in the air and causes them to stick to a collection pan. This provides benefits over traditional filters since it catches all dust particles, no matter how small. It also prevents you from wasting money on replacing dirty filters over and over again. For indoor air quality products installed and repaired throughout Columbus, OH, call on Quality Air Heating and Air Conditioning today!